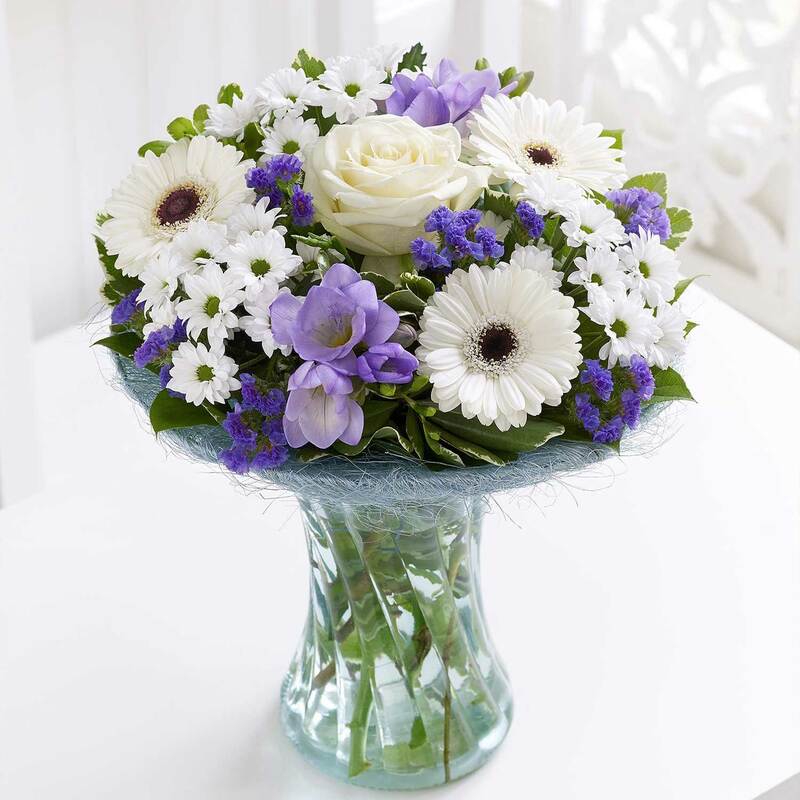 Traditional blue and rich purple are the perfect colours for this hand-tied posy to celebrate the birth of a baby boy. 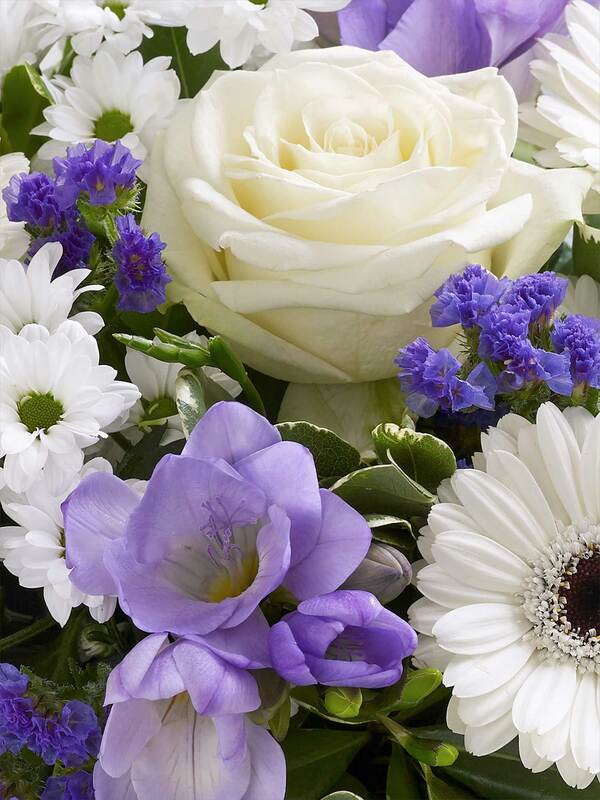 For contrast we've added delicate creams and soft greens, with a beautiful white rose at the centre. It's presented in a cute gift bag. Featuring a white large-headed rose, cream carnations, white spray chrysanthemums, blue statice and purple lisianthus hand-tied with salal and presented in a new baby gift bag.